Strategy Strikes Back: Modern Military Conflict — Eat My Words! ML Cavanaugh is a nonresident fellow at the Modern War Institute and a U.S. Army strategist with global experience and assignments ranging from the Pentagon to Korea and Iraq to Army Space and Missile Defense Command. As one of the editors of Strategy Strikes Back, he will be speaking on modern military conflict and it's parallels to the successful franchise. The most successful film franchise of all time, Star Wars thrillingly depicts an epic multigenerational conflict fought a long time ago in a galaxy far, far away. But the Star Wars saga has as much to say about successful strategies and real-life warfare waged in our own time and place. 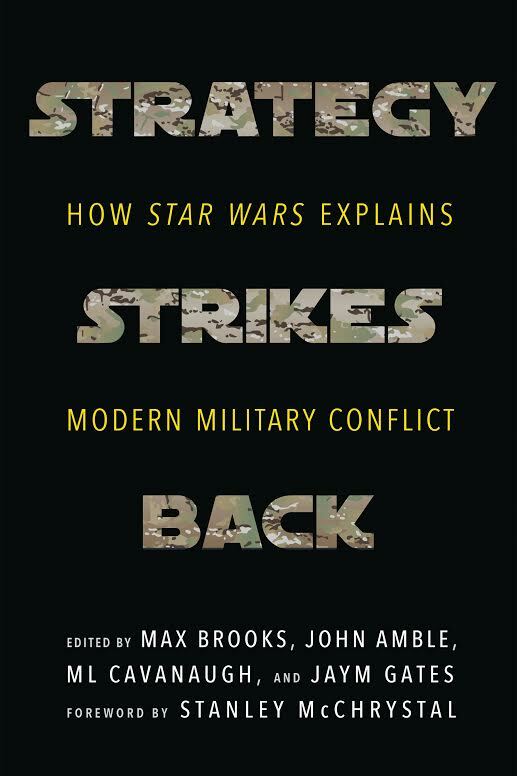 Strategy Strikes Back brings together over thirty of today’s top military and strategic experts, including generals, policy advisors, seasoned diplomats, counterinsurgency strategists, science fiction writers, war journalists, and ground‑level military officers, to explain the strategy and the art of war by way of the Star Wars films.